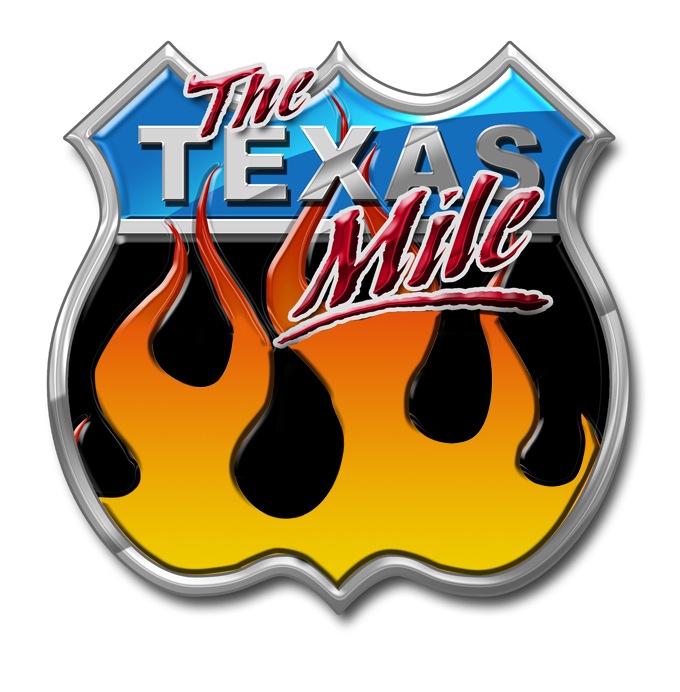 For all, MPH is calculated by a state of the art speed trap located at the last 132 feet of The Texas Mile. Timing equipment includes timing lights and lasers hooked to a computer designed for calculating top speed runs. There are three display boards that show the unofficial speed of each pass. The official speeds are announced over our local FM broadcast system. In order to obtain your speed certificate, go to registration with your fastest speed slip of the event. Each participant is allowed one certificate (two certificates if you need one for your sponsor). Do not pick up your speed certificate unless you have completed all of your runs for the event. For those that set records in their class, your information will be recorded in THE U.S. MILE RECORD database which will be for public bragging rights on our Web site. We will also post all the results. SO EVERYBODY gets to see their name in digital print. AND we will try to get magazines and other publications to recognize your accomplishments as well – No guarantees on magazine exposure, but our track record is pretty good.